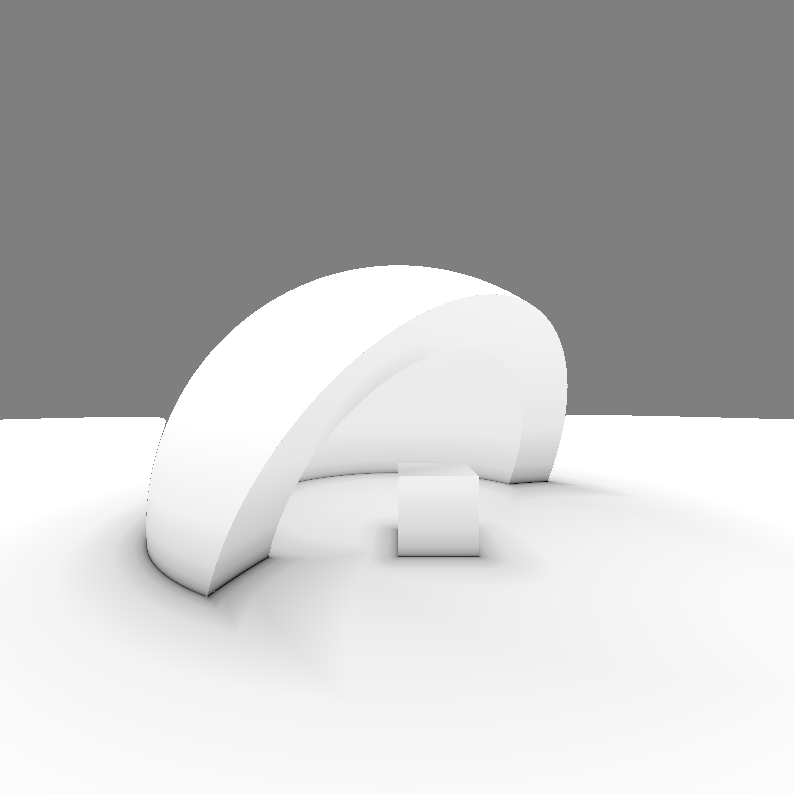 Time to get some real ambient occlusion now. Ambient means the light does not come from a well defined light source but rather means general background lighting. Occlusion means how much ambient light is blocked. We take the point on the surface where our ray hits and look at what’s around it. 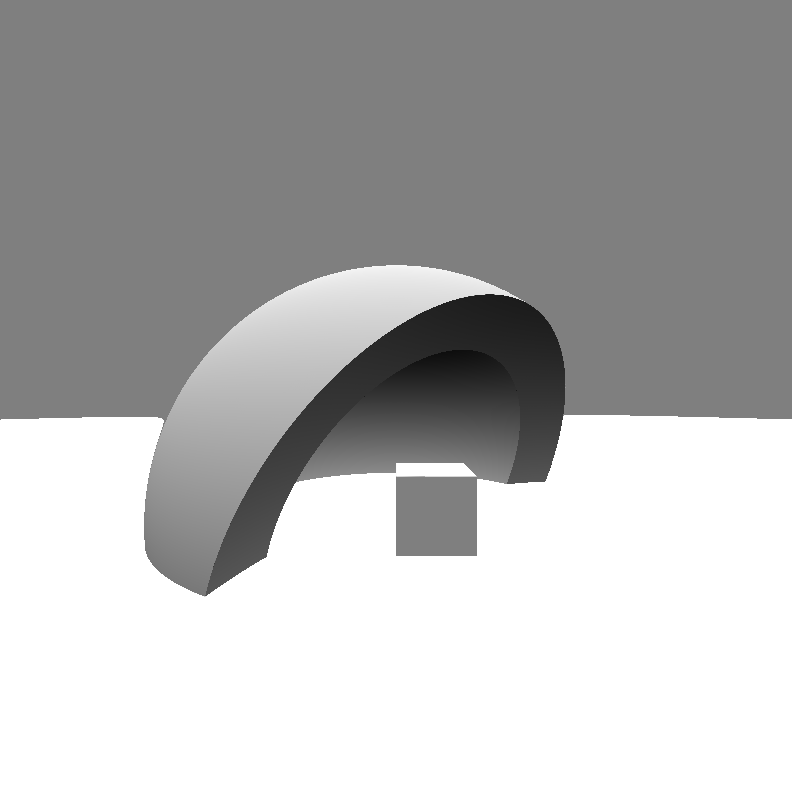 If there’s an object anywhere around it, that will block most of the light in the scene, so this is a dark area. If there’s nothing around it, then the area is well lit. For in between situations though, we need to figure out more precisely how much light was occluded. Introducing the cone tracing concept. Let’s go over the code, line by line. First we define the eps variable which is both the cone radius and the distance from the surface. Then, we move away a bit to prevent hitting surface we’re moving away from. Next, we define the occlusion variable which is initially nil (scene is all lit). 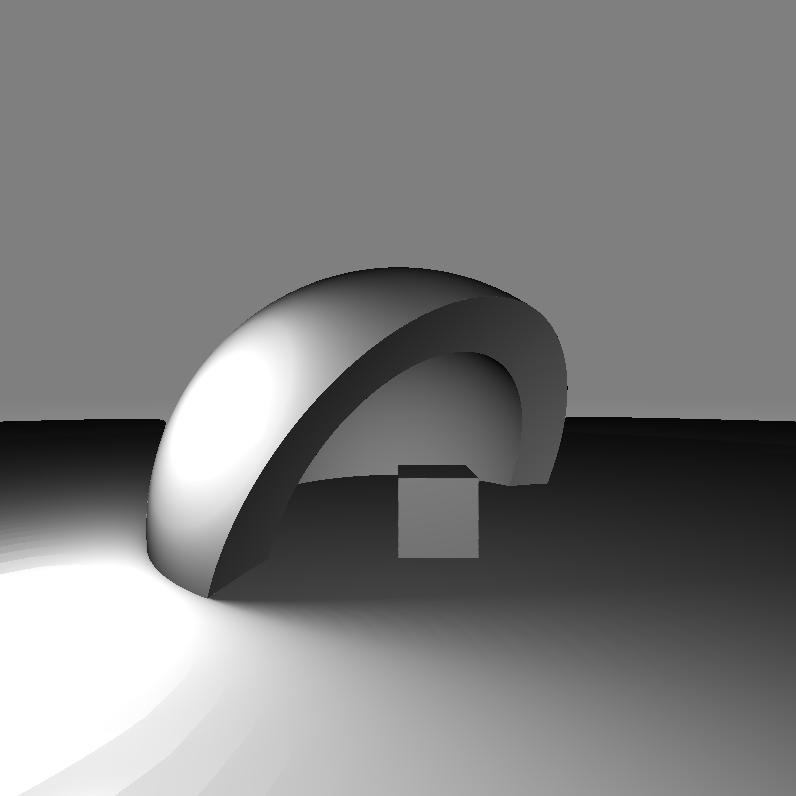 Then, we enter the loop and at each iteration we get the scene distance, double the radius so we know how much of the cone is occluded, make sure we eliminate negative values for the light, get the amount (ratio) of occlusion scaled by the cone width, set a lower impact for more distant occluders (the iteration count gives us this), preserve the highest occlusion value so far, double the eps value and finally move along the normal by that distance. We then return a value that represents how much light reaches this point. Now lets have a camera struct. It needs a position. Instead of camera direction we’ll just store a ray. Finally the rayDivergence gives us a factor of how much the ray spreads. The source code is posted on Github as usual. I want to thanks Chris again for his assistance.